Star Walk for iPad – the popular and award-winning astronomy app – has had a recent update, to Version 5.3.
an extensive database of currently functioning artificial Earth satellites (all 8000 of them!) with their exact positions over the ground. Once again, an already excellent app continues to provide worthwhile updates – always good to see. 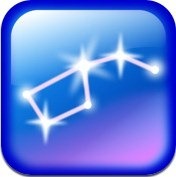 Here’s an App Store link for Star Walk for iPad; it’s priced at $4.99. Time for another promo codes giveaway contest, for another great iPad app. 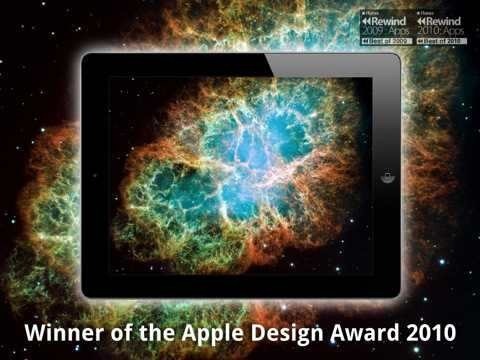 Star Walk for iPad is the popular and award-winning star-gazing app for our favorite tablet device. It’s packed with cool features and is a must-have iPad app for those who enjoy star gazing and a great family app for those who want to get their kids interested. 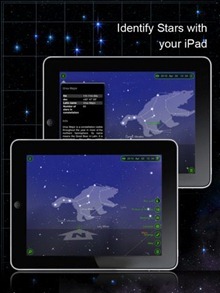 Star Walk for iPad – the app that serves as an interactive astronomy guide – was updated yesterday, to Version 5.2. The update is dedicated to the 50th anniversary of human space flight. • Moon bug fix: now you can track all the Sun eclipses as precise as never before! This is yet another stellar (no pun intended) app that does not rest on its laurels, and keeps adding cool new features. Lots of enthusiasm for this one. Thanks to all who participated, and a big,big thanks to Alena and the folks at Vito Technology for generously sponsoring the contest with us. Winners – please watch your Inboxes and spam folders, as we’ll be sending out your codes very soon. If you didn’t win this one, better luck next time and there will be more contests coming soon here. Oh, and you can check out the Star Walk for iPad app HERE.